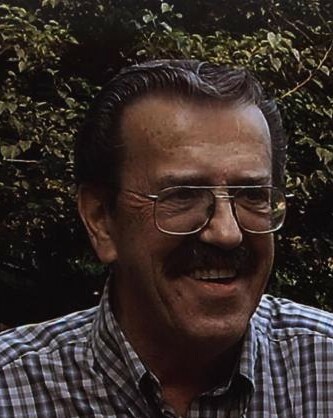 Robert Thomas Deibner, 80, entered into rest on July 28, 2018 in Modesto, California. He joins his father and mother, Laurence and Elva Deibner, and his brother Denny Deibner in heaven. Bob was born March 16, 1938 and grew up in a loving family of seven children in the Rockford and Cherry Valley area of Illinois. Bob leaves behind his wife of 15 years “Lady Anne Deibner,” his Scottish lass of Manteca, and his children, Tom Pomeroy, Zoey Chaves, Sandra Sinclair, Michael Renkin, Steve Griffin, Mike Griffin, Rob Griffin and Robin Griffin. In addition, he was blessed with nine grand- children, Harry Chaves, T.J. Van Buskirk, Jack Chaves, Samantha Chaves, Dylan Forcaid, Adam Renkin, Shani Pomeroy, Tommy Pomeroy and Eric Pomeroy, and three great grandchildren, Cheyenne, Kenneth and Landyn Chaves, and Shyanne Moore. Bob also leaves behind his four sisters, Joan Williams, Shirley Cardani, Sharon Wendt, and Sue Deibner, and one brother, Rich Deibner. Bob was a Manteca resident who served the community as a landscape designer with his business known as Nature’s Image. He served his country proudly through the United States Air Force during the Korean War. Originally from Cherry Valley, Illinois, Bob made his home in California to pursue his career. Bob was a true artist in his landscape designs. He enjoyed golfing, drag races, and anything Scottish, especially the bagpipes. He also enjoyed playing tour guide for his family and friends, showing them the state that he grew to love as his home. Most of all he enjoyed spending time with his grandchildren. He was an amazing father and loved his kids dearly. He will be remembered as a loving husband, father and grandfather. He will be deeply missed. P.L. Fryand Son is honored to serve Bob’s family. A celebration of life will be held in his honor on Wednesday, August 8, 2018 at 1:00 p.m. at P.L. Fry and Son Funeral Home, 290 North Union Road, Manteca, CA. For condolences to the family please visit our website at www.plfryandson.com and search obituaries.